Eeeek look at my new beauties! Yep you're seeing right: a pointed toe, black leather, pony skin, exposed zips and patent snakeskin - I never knew a boot could carry so many elements without it being too much, but these babies are perfectly on-trend; a classic ankle boot turned statement shoe. These were my main Christmas present from my mum and I love the combination of the different all-black textures. They'll look really cool with some turned up jeans or some masculine trousers, but also cute with bare legs in the summer. I'm excited to start styling these up so no doubt you'll be seeing them soon! Ah they are beautiful, love them! 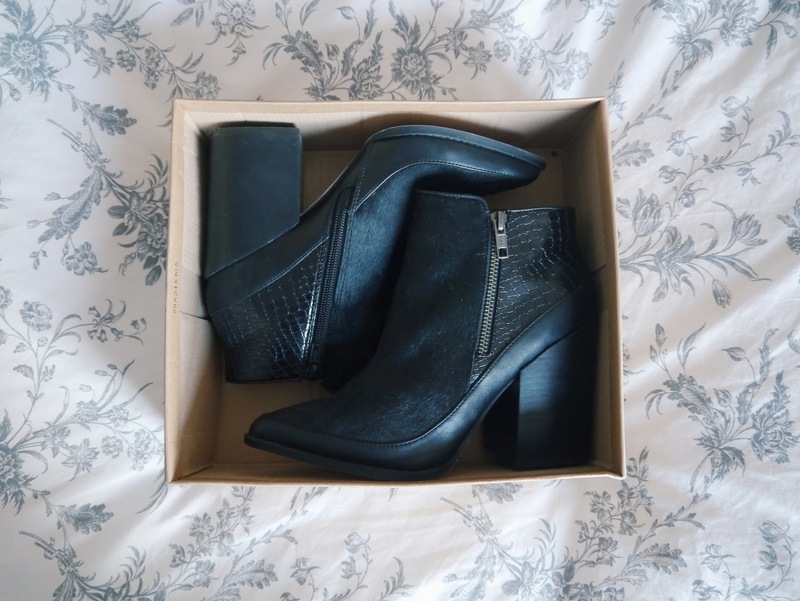 I've looked at these boots so many times in UO, they are at the top of my wish list! those boots look awesome :) happy new year babe! 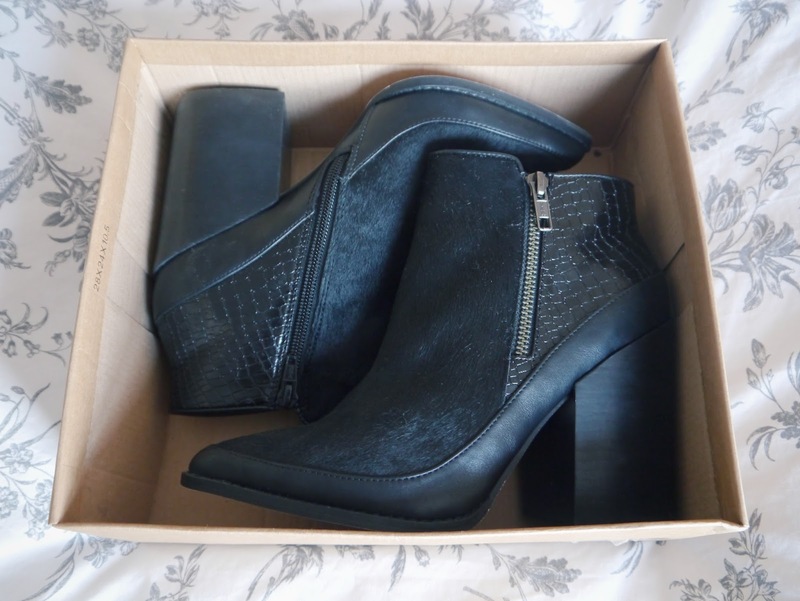 They are perfect, so in love with pony skin at the moment. Happy new year Ellen! ah they're so so nice! Gorgeous! I look forward to your future outfit posts!